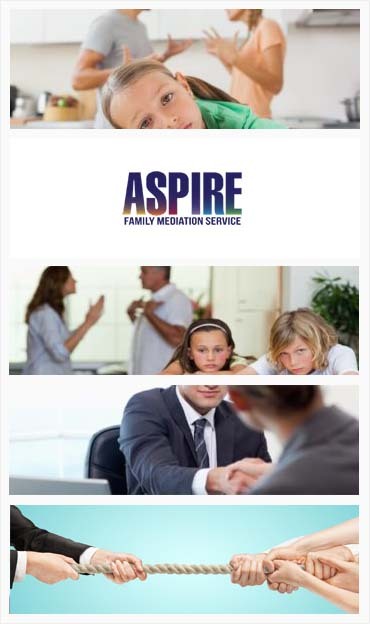 Aspire Family Mediation Offer Mediation in Banbury. Contact us today to book an assessment! If you have children you will want to show them that you can put their needs first when you are undertaking a separation, or divorce. Even if you do not have children it makes sense to approach divorce or separation in a mature and sensible fashion. Whatever damage has been done before, or during, the divorce or separation it makes sense to move ahead in a constructive way. Legal proceedings can often be destructive in terms of destroying any possibility of future negotiation and in terms of costs. However, the legal route is not the only one to consider and you should think about mediation. Our Mediators in Banbury have received extensive training in how to reach an agreement following a divorce or separation. They are used to dealing with any situation that might arise and can adapt their mediation accordingly. Whatever your issues, whether they involve children, property or finance, our mediators are able to help you to reach a mutually beneficial agreement. There is no compulsion to undertake mediation (although courts may expect you to have attended MIAMS, Mediation Information and Assessment Meetings or to have completed an FM1 form) and it can be a healing process for both parties. The first step in mediation is to attend (separately) meetings to consider whether mediation is a suitable solution to address the issues concerned. Following this, a series of mediation meetings are proposed. These meetings can be arranged in a variety of ways. The advantage of these meetings is their flexibility. They can be arranged around your schedule, and will enable you to take control of the situation. At the meetings you can discuss a variety of issues including (but not limited to) children, property and finances. At the end of the series of meetings you are expected to make an agreement which will help you to move forward with your separation and divorce. Low cost. During separation couples often face financial difficulties. Mediation is low cost and not time intensive. Efficient. Mediation enables you to reach a solution which is equitable and quick. Less damaging. Children can be informed about the mediation process throughout, and take their needs into account. Sensible. Mediation allows a mutually agreed solution to be arrived at. This is the sensible way to proceed. Whatever your circumstances, we think that you will find mediation to be the best way to proceed. Children can be informed about the mediation process. Our mediators are trained in working with children and young people. Grandparents can also be brought into the process as they are often concerned about visitation rights. Finally, your property and financial affairs can also be agreed upon in a neutral environment. If you would like to know more, please contact us today about our mediation services. I am very thankful to my sister for recommending me this brilliant mediation services. Aspire Family Mediation Services not only helped me get rid of my cheating husband but, I also got huge alimony without any fuss. I was thinking to get separated from my ex as we both were not happy being together. Aspire Family Mediation helped me by not taking the matter to court and solving it by considering our request by ensuring 100% privacy. My friend recommended me for mediation services from Aspire Family Mediation as she was aware of my family issues. The mediators really helped me through the process in a very timely and cost effective manner.